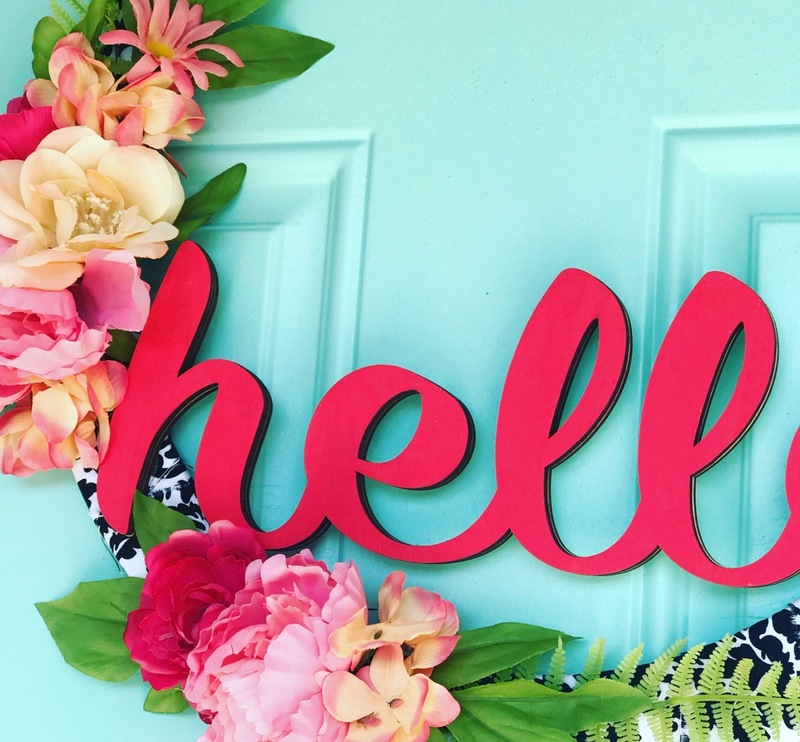 Having a Quick and Easy HELLO Wreath to create is a must for me! I tend to change out the wreaths on my front door as the seasons and holidays change and so quick, easy and cheap are requirements! Life is just to darn busy to do anything different nowadays! 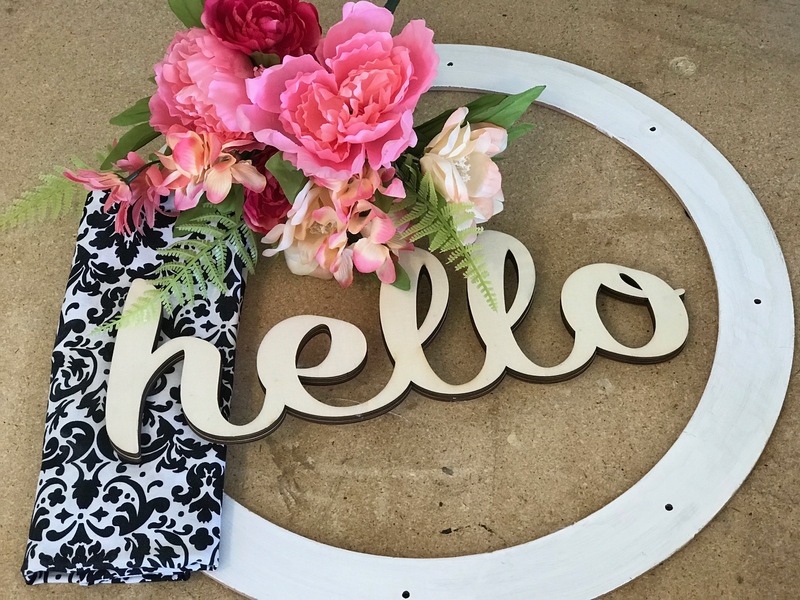 This Quick and Easy HELLO Wreath takes a few simple supplies and some amazing paint! 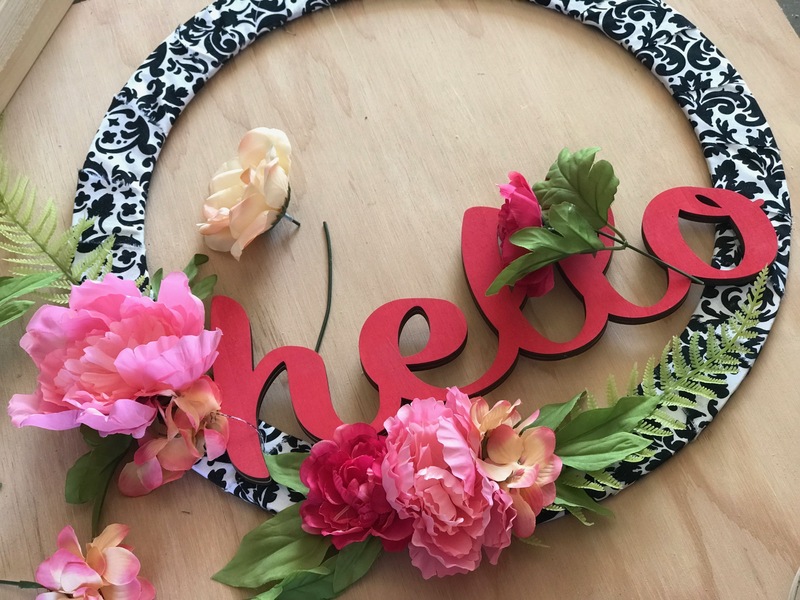 You will need this wooden wreath form from Hobby Lobby OR you can buy it from Amazon. Scrap fabric in any coordinating color. Silk flowers of your choice. Americana Watermelon Slice from DecoArt or any coordinating color. I previously painted my wood form white for another project but it was a #pinterestfail so now I’m using it for this one. 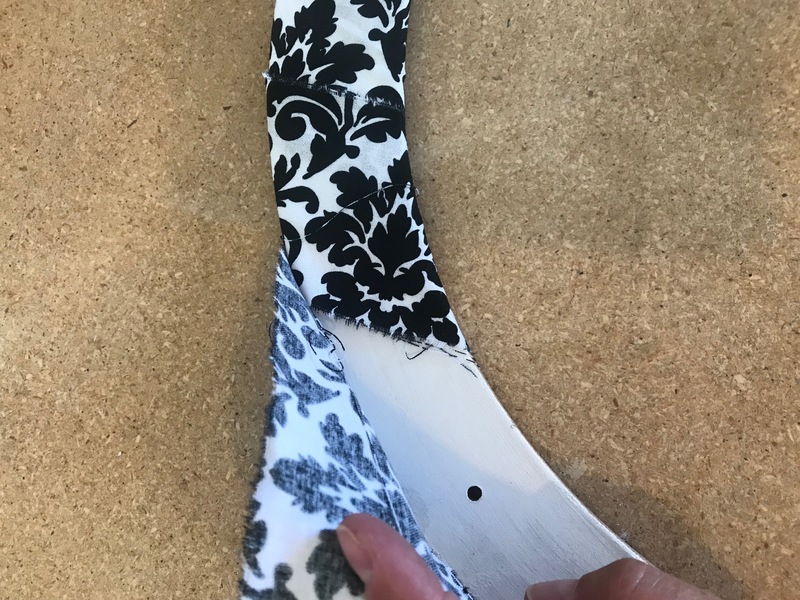 Rip or cut your fabric strips into 2.5″ strips. 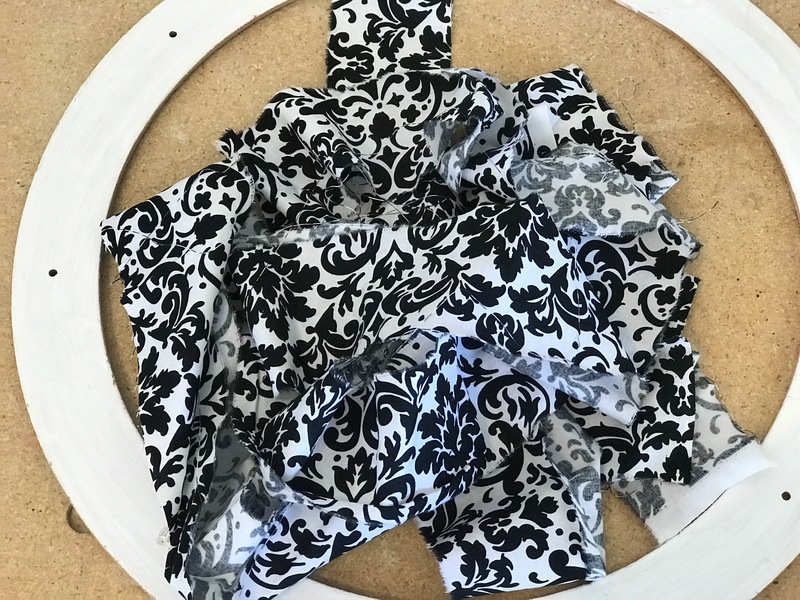 Wrap around the wreath form and secure with hot glue. 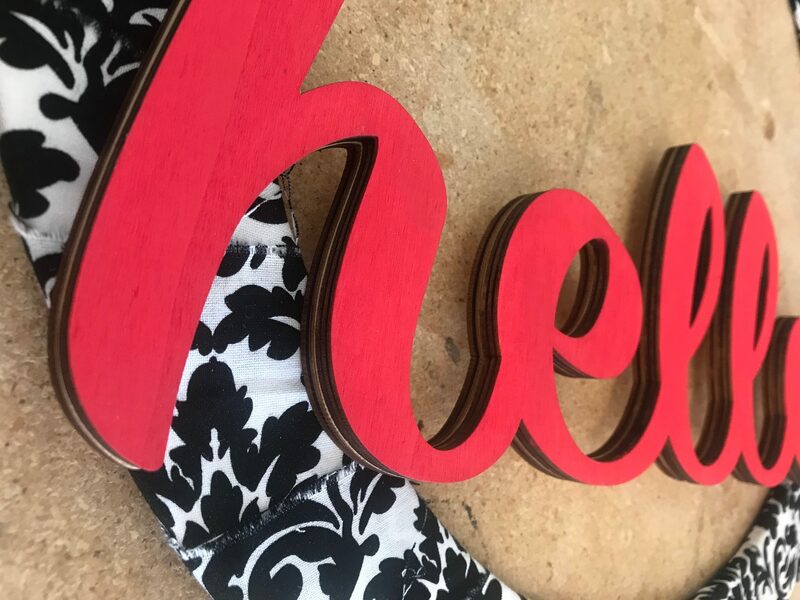 Paint the front of the “HELLO” wood cutout. I used two coats of the paint simply because my front door gets a lot of sun exposure; one coat would work for most. 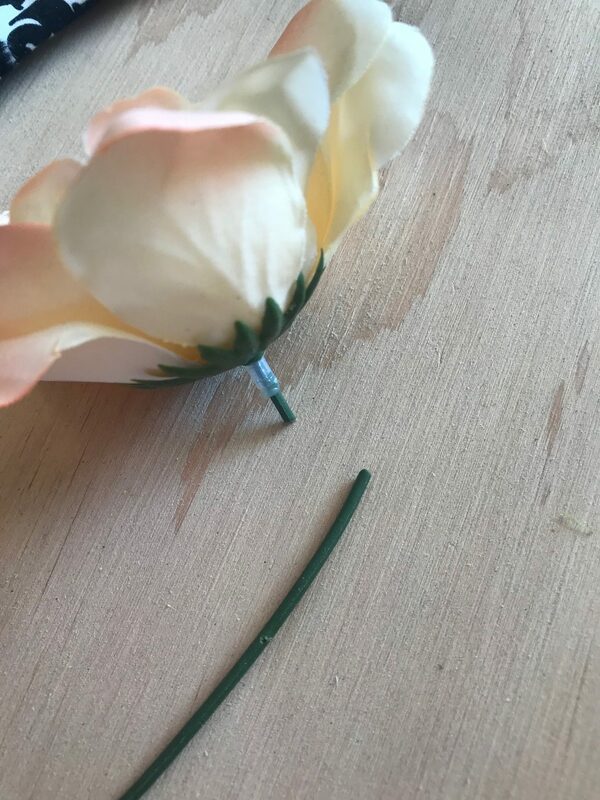 Trim the leaves and flowers off of the stems, as shown. Before you hot glue anything down, lay it out so you know the spacing that you like. That’s it!!! Look at that color against my aqua door!!! I am in LOVE!!!! I think these colors would look absolutely amazing against a navy color door also! What color door do you have?? 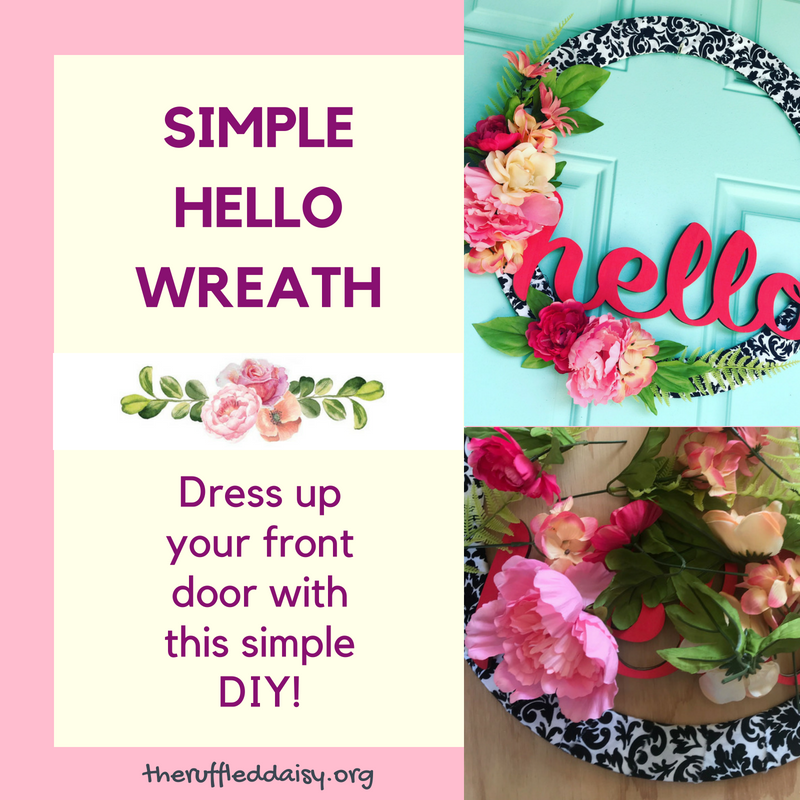 This Quick and Easy HELLO Wreath is a great one to work on tonight and have on your door in 20 minutes!!! It’s the perfect time to have a door refresh! 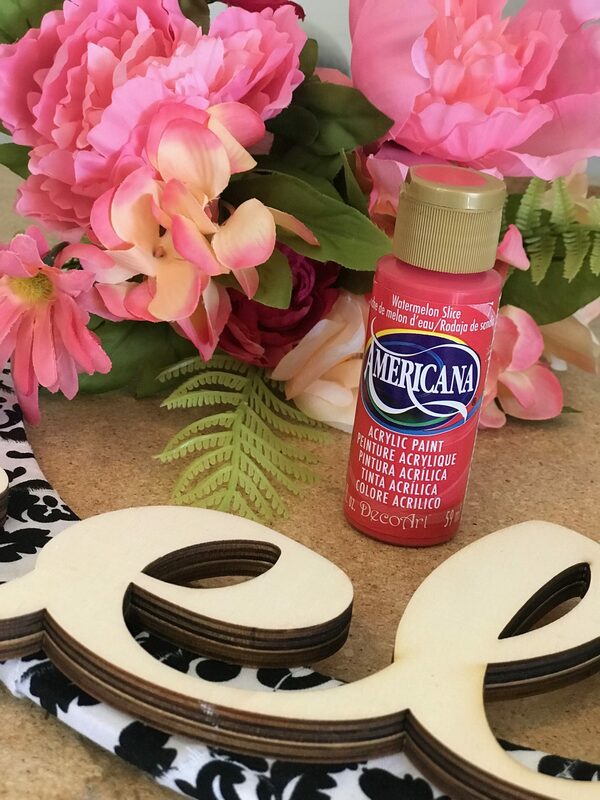 What are you working on this week with DecoArt paint? I’d love to see! Did you like this post? I’d love for you to share it with your friends on social media and PIN it so you have it for later! If you like what you see on this page, I’d love for you to join my mailing list HERE! When you join, I’ll send you a my FREE Home Decor Holiday Printables that you can immediately download. Just my way of saying “thank you” and encouraging you to live your best life! I’ve never made my own wreath but this makes it look simple. I love that you’ve outlined great steps! I have always wanted to make my own wreath but never really knew how. I love the step by step guide and it will help me to feel more comfortable making one for my front door! I thought this looked so cool and then I saw it up against your door. Amazing!!!!!!! I love it. It’s so bright and happy! What a great way to add a pop of color to any door! This is super cute. I love a simple craft with fashion appeal.